This residence in Les Orres, Alps, France offers 172 spacious and comfortable apartments designed to accommodate between 2 and 10 people. Their lounge extend into large balconies which offer an amazing view. The 3-star résidence Les Chalets de Bois Méan*** was built in the forest and offers a fantastic view over the surrounding mountains. It is situated 3km from the centre of the resort of Les Orres, Alps, France and a few metres from the ski lifts and the pistes. During the winter, free shuttles to the centre of the resort are available. 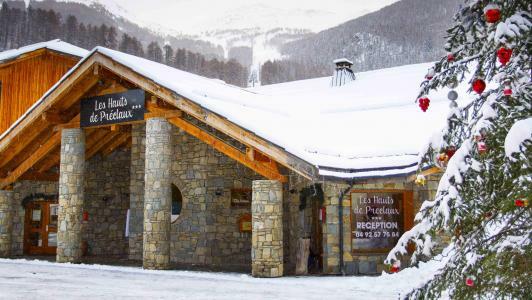 At an altitude of 1800m the three star residence les Hauts de Preclaux, is the heart of the village of Bois Méan, Alps. It is centrally situated and offers a friendly and happy atmosphere thanks to its shops and restaurants (restaurants, wine bar, minimarket, snack bar, sports shops, newsagent, souvenir shops, bakery, ski schools, laundrette, tourist office and day nursery). 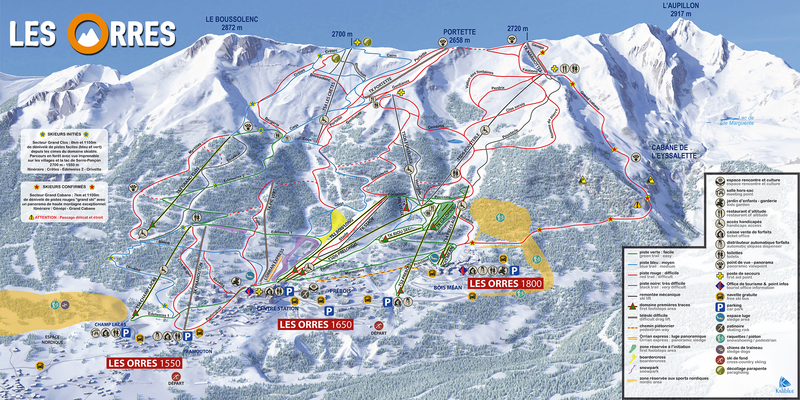 Direct access to the snow front and at the departure of the Préclaux ski lift is possible. 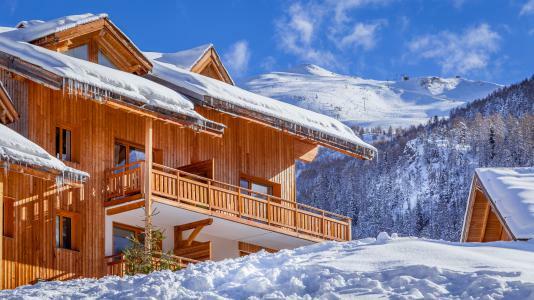 Residence Sunêlia Les Logis d'Orres, made in stone and wood, is located at 200 m from the slopes: a gateway gives access to the chairlift Champs Lacas and to alpin ski slopes or cross Country skiing slopes. The return can be done on skis to the residence during the period of maximum snow. The residence is at 1.5 km from the resort center connected by free shuttle every 20 minutes during winter season. Different type of accommodation is offered: studios, apartments or chalets, from 3 to 10 people. Heated swimming-pool that is covered by a removable shelter, a nordic bath up to 6 people and a sauna (payable), activity room with extra charge. 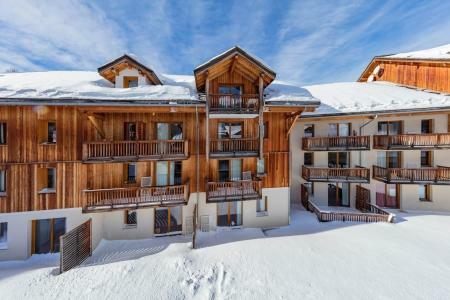 The residence Le Parc des Airelles*** is ideally situated at an altitude of 1800m, the highest part of the resort, at the foot of the ski slopes and just 20m from Préclaux ski lift. It is made of wood and stone and access can be made with skis on. 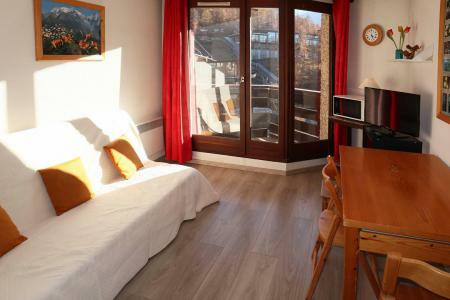 The apartments in Les Orres, Alps, France have bay windows and sunny balconies which offer a fantastic view over the pistes, the valley and the surrounding mountains. This residence in Les Orres, Alps, France offers 67 spacious and comfortable apartments designed to accommodate between 2 and 10 people. Their lounge extend into large balconies which offer an amazing view. The 3-star résidence Les Balcons de Bois Méan**** was built in the forest and offers a fantastic view over the surrounding mountains. It is situated 3km from the centre of the resort of Les Orres, Alps, France and a few metres from the ski lifts and the pistes. During the winter, free shuttles to the centre of the resort are available. 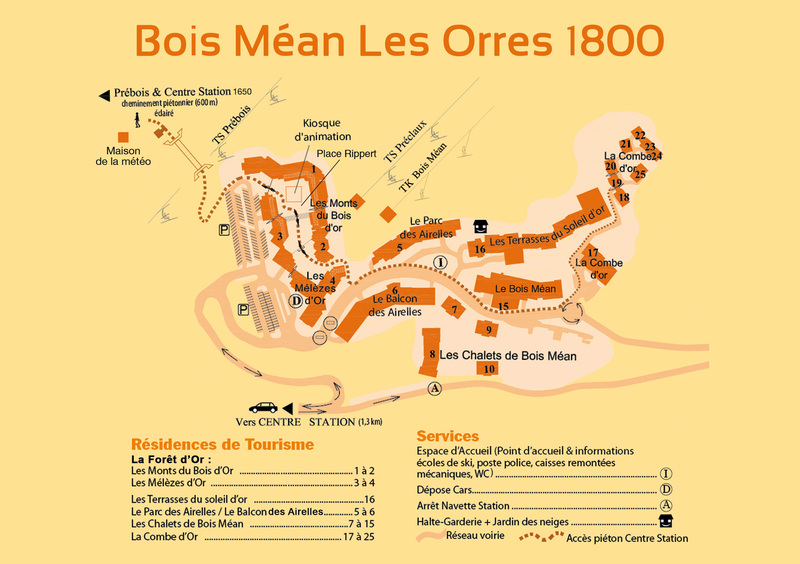 The residence L'Ecrin des Orres, with lift, is situated in Bois Méan village, in Les Orres, at 1800 m alt. It is located under than 100 m from the ski lifts, shops and restaurants. The residence is equiped of an indoor swimming pool and saunas. All apartments have a balcony. The residence Les Cembros is situated in the resort of Les Orres 1650, Alps. 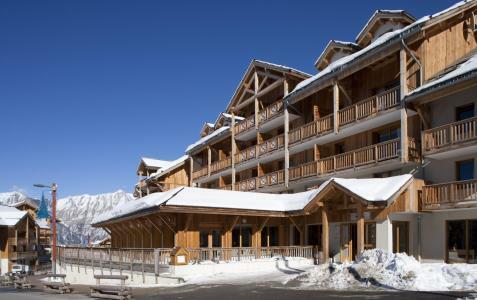 It is ideally located at the foot of the pistes. Amenities of the resort include a shopping centre under the residence with its many shops, restaurants and activities. 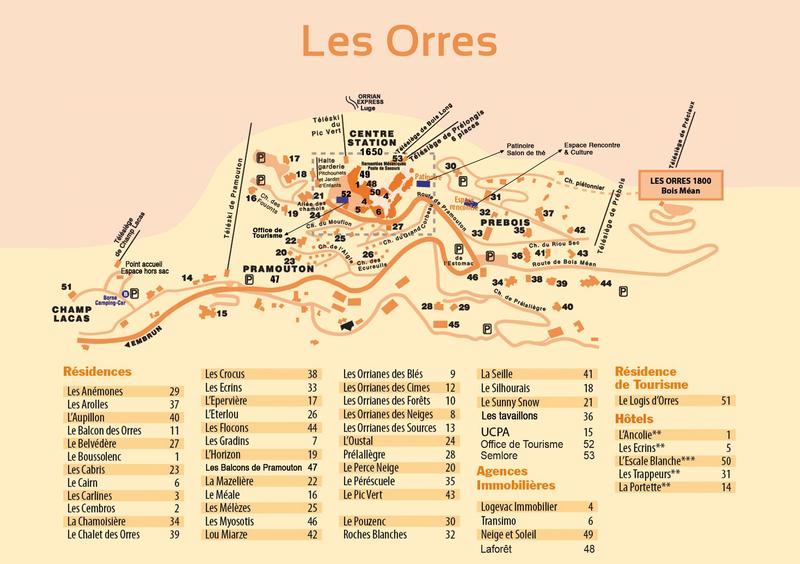 The Residence Orrianes des Forêts with lift is situated in the heart of the ski resort of Les Orres 1650. It is located just close to the ski slopes, shops and amenities proposed by the resort. Apartments are well equipped, and comfortable. You will have a wonderful view over the valley and of the skating rink. 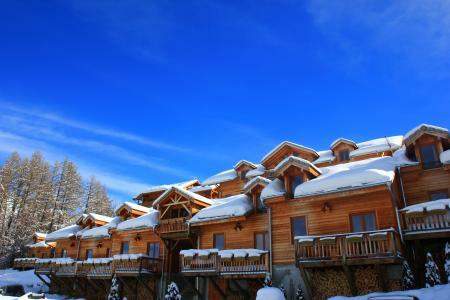 The residence Les Gradins is situated in the ski resort of Les Orres 1650. It is located in the center of the resort. You will take advantage of a direct access to the ski slopes, shops ans amenities. Apartments of the residence are comfortable and well equipped. 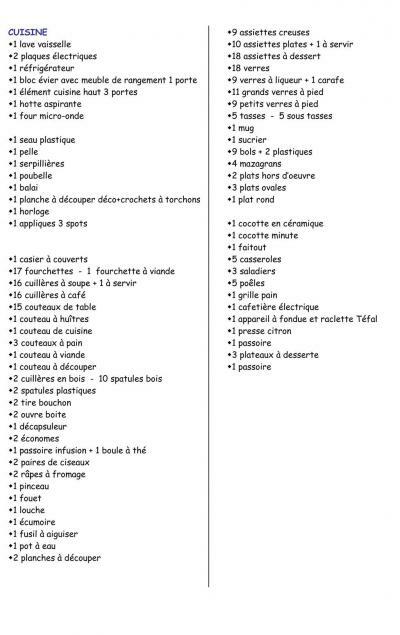 You will have a nice stay at Les Orres! Overlooking the newly-built resort 1800 des Orres, at the foot of the pistes, the residence La Combe d'Or (with lift) offers an exceptional view over the valley and the pistes from a terrace or balcony and 46 charming apartments and chalets designed to accommodate up to 10 people. 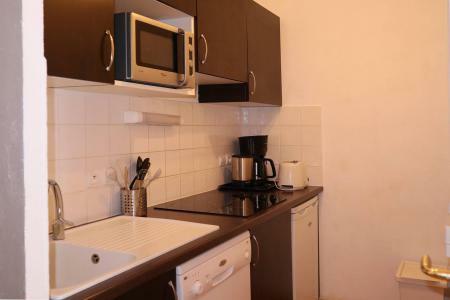 Each accommodation is tastefully decorated and furnished and has a fitted kitchen, LCD TV screen, WiFi. 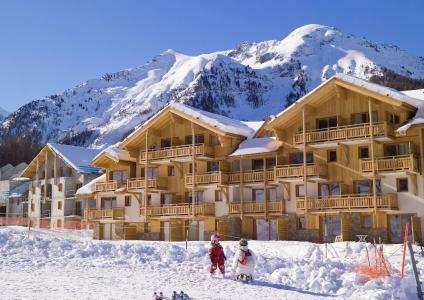 Other facilities in the residence in Les Orres, Alps, France are available at extra charge.